Pump specialists MICHAEL SMITH ENGINEERS now offer a range of magnetically-driven regenerative turbine pumps which are an ideal solution for low-flow / high-head applications where zero leakage is required. 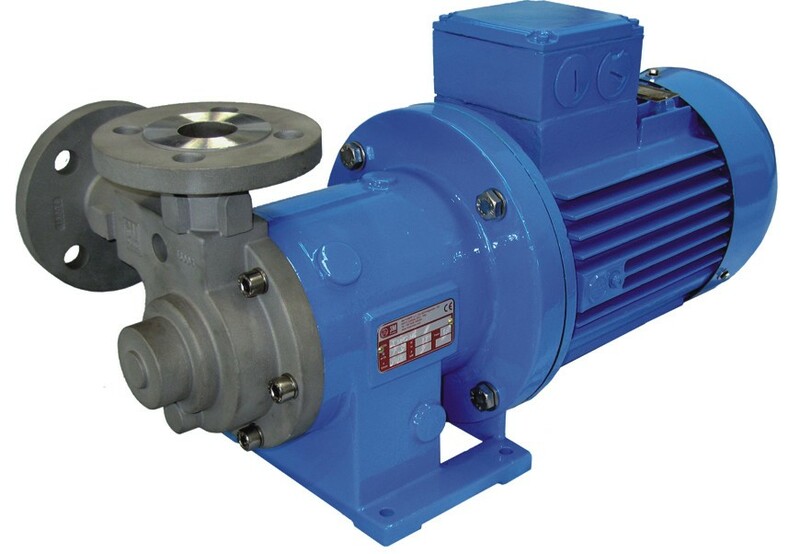 Available in a wide range of wetted materials the M Pumps range is designed to handle liquids containing up to 20% entrained gas, as well as thin, non-lubricating liquids, or for pumping small flows at high differential pressures. The pumps can handle capacities up to 13m3 /hour at differential heads up to 164 metres for single stage designs and up to 500 metres for multistage pumps. Low NPSH versions are also available for refrigeration / cooling applications, or for pumping boiling liquids or high vapour pressure liquids, with an NPSHR down to 0.5 metres. The metallic designs provide high system pressure capability, 25 Bar on the standard T Mag M metallic series, 150 Bar for high system pressure versions of the T Mag M series and up to 1500 Bar for the T Mag XPM designs. The key features and benefits of the M Series includes; a high-head, low-flow capability which minimises the need for bypass requirements, hydraulically and dynamically balanced impellers which are designed to handle liquids containing up to 20% entrained gas and a close-coupled design which eliminates alignment issues. They also have ability to handle liquids with a wide range of viscosities from less than1 cP up to 200 cP.M Pumps are available in polypropylene, PVDF and stainless steel liquid end construction.